Do you need commercial or residential pest control in Bergen County NJ and Rockland County NY for your house, business or workplace? Then Bug Runner will be here to meet your needs. The highly experienced team at Bug Runner can deal with any pest issue you might be faced with. Whether you have termites, bed bugs or rodents causing a disruption at home or at your place of business, Bug Runner is able to assist in restoring your peace of mind. Whenever there’s a problem with pests, it’s incredibly essential to eliminate the pests promptly and completely. A number of pests are able to cause not just damage to your home but illness in family members and pests. This makes getting in touch with an expert right away your best option. If you’re in need of fast and effective service from a premier termite and bed bug pest control company in Bergen County NJ, give Bug Runner a call. When you’re experiencing problems with insects or rodents, Bug Runner will be here to offer top quality commercial or residential pest control in Bergen County NJ and the Upper Manhattan NYC. We’ve got the state-of-the-art equipment to make certain the job is done thoroughly, which means you aren’t going to need to worry about repeat pest issues. We provide extremely comprehensive and detailed inspections which will ensure each aspect of the home or commercial property is taken into account. Wherever you have pests, our crew of specialists is certain to find them. After the pests are found and identified, we utilize proven techniques to remove the pest issue once and for all. 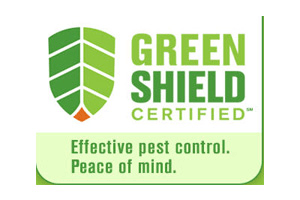 If you give us a call for commercial or residential pest control in Rockland County NY you’ll be able to rest easy, knowing your residence or office is clear and secure. For all types of businesses, we provide efficient and detailed commercial pest management in Bergen County NJ and the Upper Manhattan NYC. Whether you manage an office building with only employees, or you operate a restaurant serving many customers daily, keeping the property safe and clean is a top priority. Call Bug Runner to set up an inspection in the event that you suspect a pest problem at your commercial property. One of our specialties at Bug Runner is bed bug pest control company in Bergen County NJ and the Upper Manhattan NYC. As you can tell by our name, we take care of all types of insects in the home or office. Bed bugs in particular, however, can be a particular problem. When bed bugs get into the upholstery or carpet at home or at work, it’s impossible to completely exterminate the bugs without the resources and expertise of a professional pest exterminator like Bug Runner. Bug Runner will be here to get the job done if you require effective bed bug pest removal in Haverstraw NY for your house or business. At Bug Runner, we do not simply offer commercial services, but offer residential services of the highest quality, such as termite pest control in Bergen County NJ and Rockland County NY. Pests of many types can decide to make themselves comfortable in your home. When this happens, an exceptional pest control company like Bug Runner is your only alternative. When you are encountering a termite invasion, the tools, techniques and skills we are able to supply with be essential to help eliminate these destructive and troublesome pests. When you don’t deal with this issue immediately, you could be faced with a significant amount of damage to your property. Your home’s structural stability could be threatened by termites, not only costing you considerable money in repairs and rebuilding, but also posing a hazard to you as well as others. When you need a termites pest control service in Haverstraw NY that can deliver help both quickly and efficiently, no one can get the job done like Bug Runner. Don’t hesitate to call us whatever your needs are for pest control in Bergen County NJ, Rockland County NY or the North NJ region.